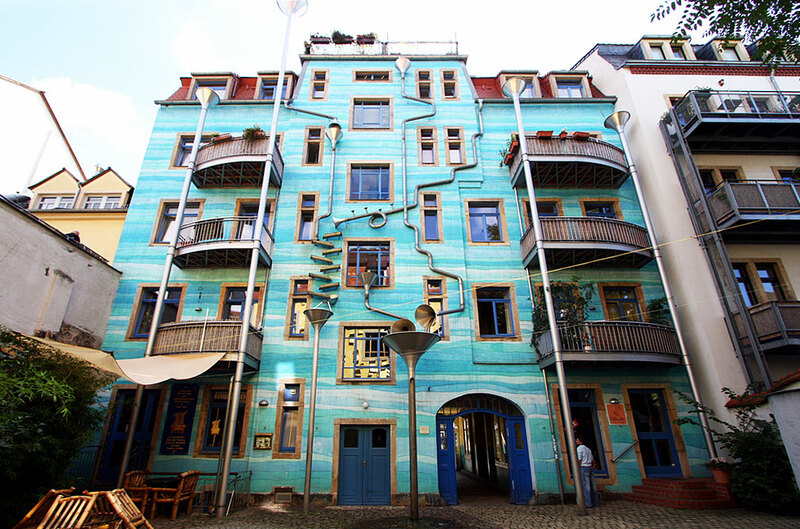 The Neustadt Kunsthofpassage is an artistic neighborhood in Dresden, Germany. 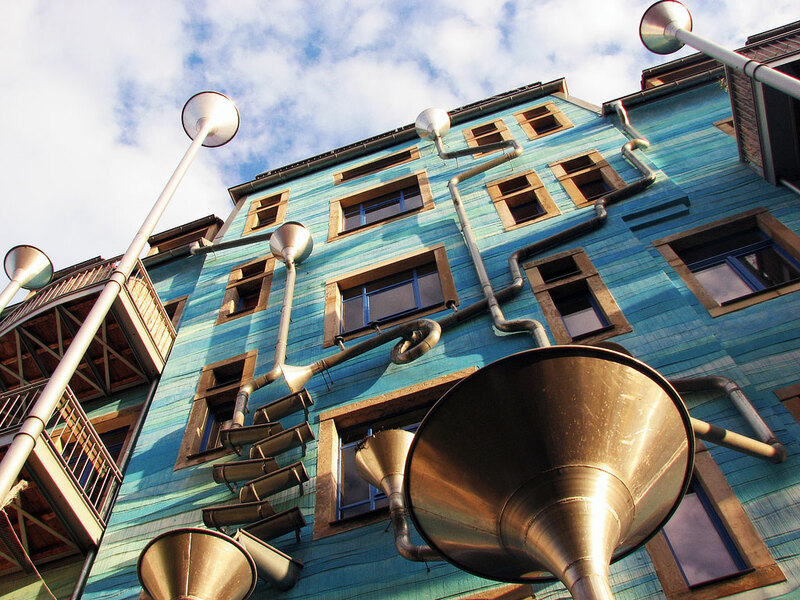 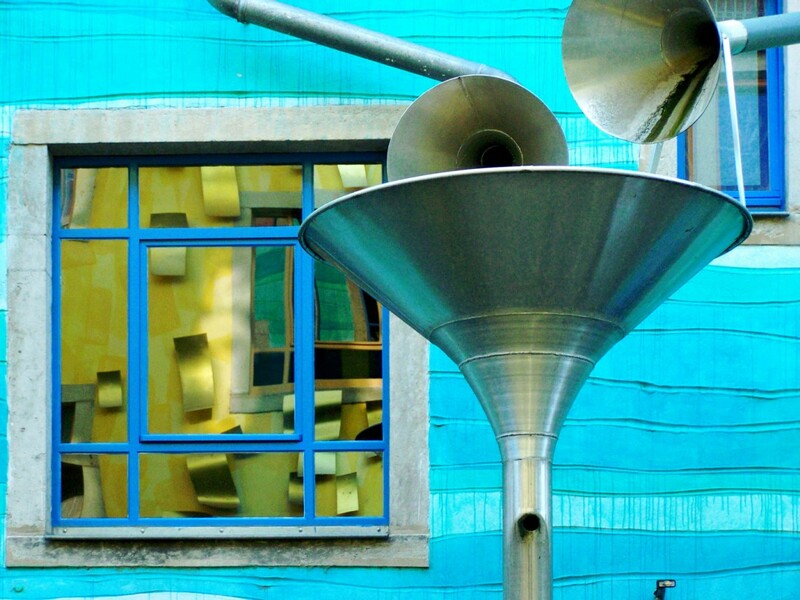 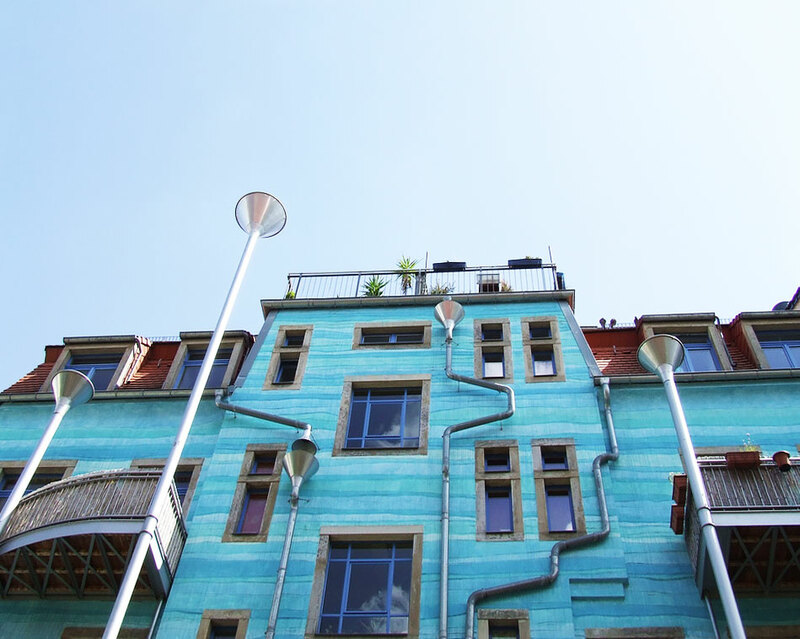 Designed by artists Annette Paul, Christoph Roßner and André Tempel, this wall all covered with funnels and gutters is one of the strangest and unusual attractions in Dresden’s student district in the new town. 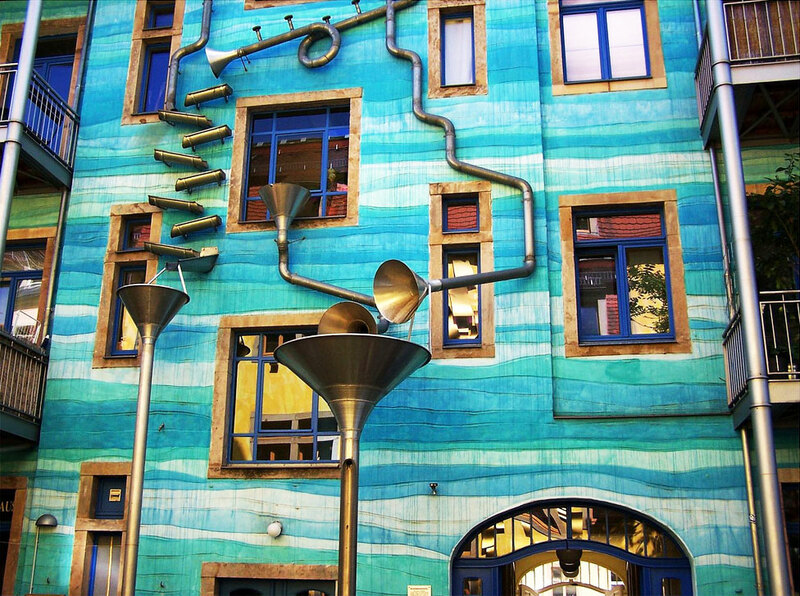 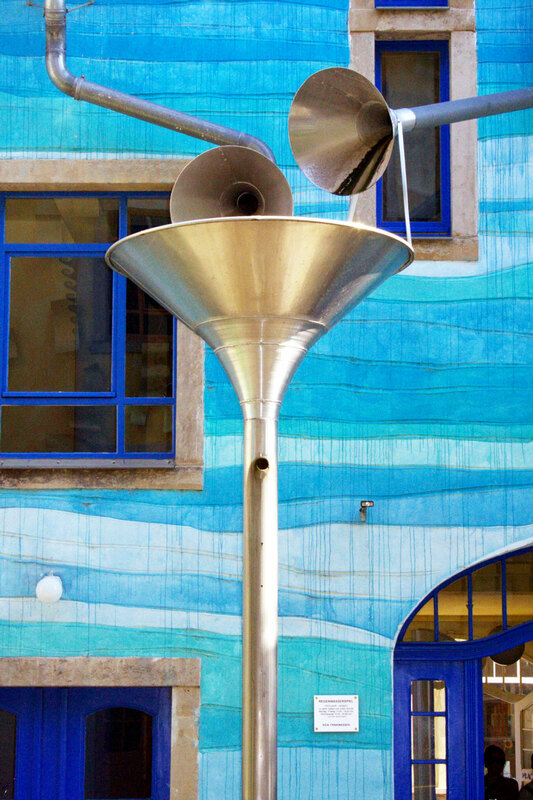 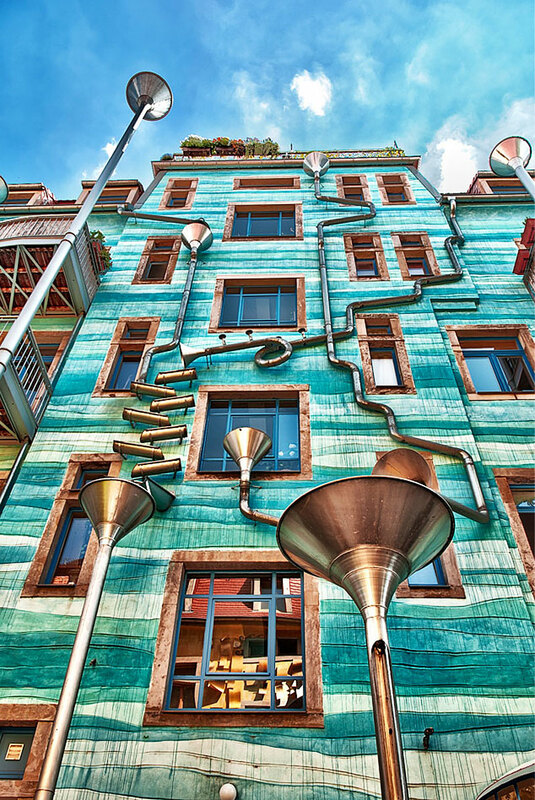 When the rain falls in Germany, this drain system turns into a beautiful musical instrument. 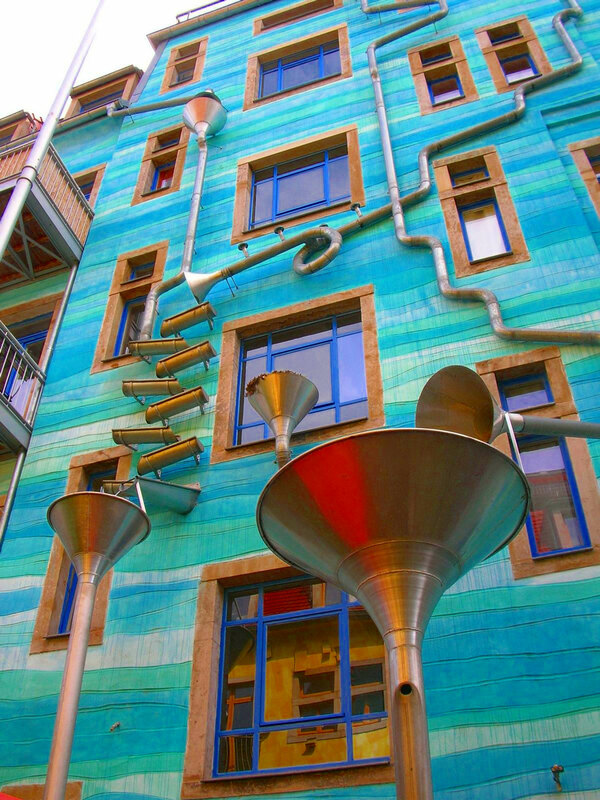 It’s called “The Funnel Wall”. 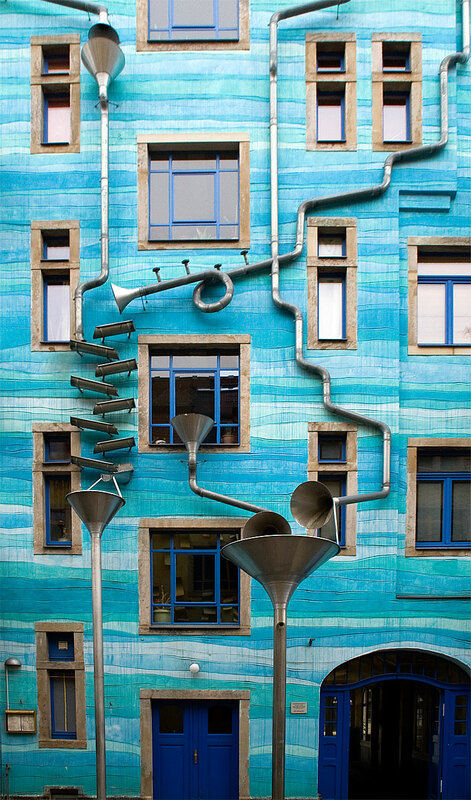 A beautiful way to celebrate the nature.